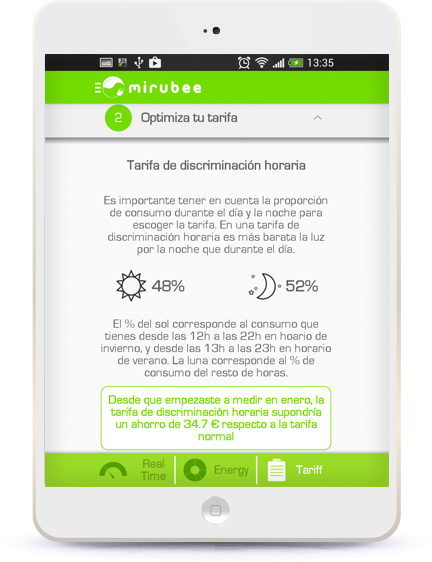 If you want to understand, control and reduce your electric consumption we recommend you to you install Mirubee. Mirubee is an advanced meter that is installed in a simple way in the electrical panel of your house and measures your consumption in real time. 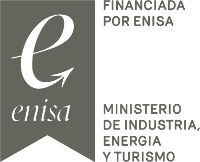 If you should change your electricity tariff to hourly discrimination capability and how much you would save with it. You can discover and buy the product, developed by a brilliant team of Spanish engineers, at www.mirubee.com. Carry out an energy saving study, so you can see if it suits you to switch to hourly discrimination and how much you would save, once you have been with us for a year and we know your consumption profile. *You will know if you have a remote-controlled meter for what the distributor charges you per month. If it is 0,8€/month, your meter is a smart one!